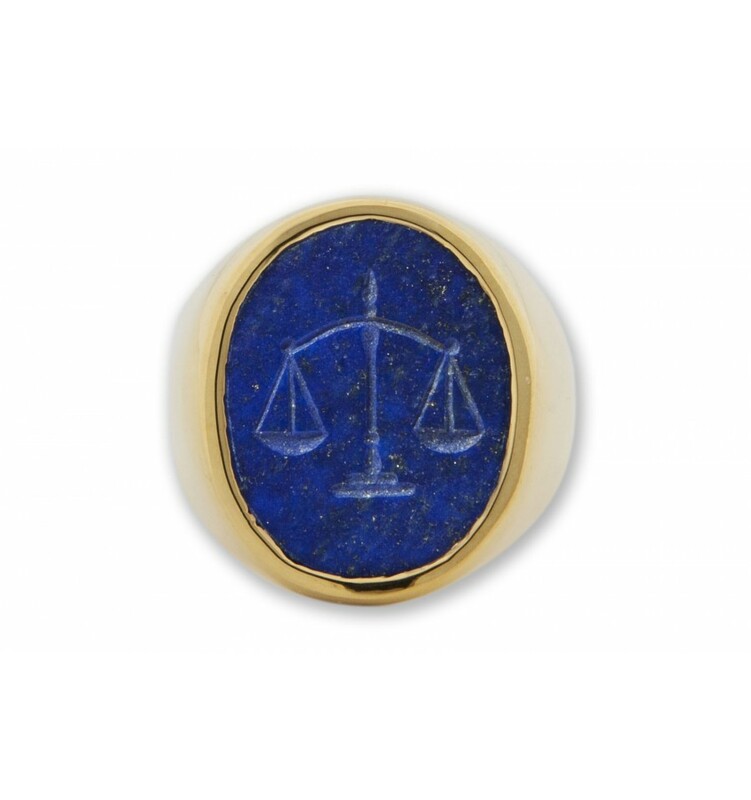 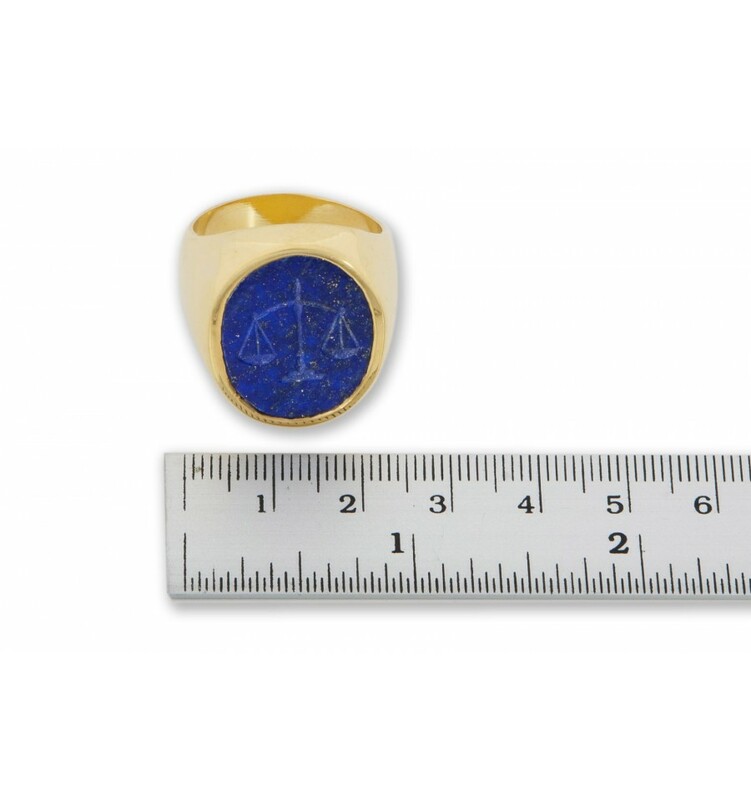 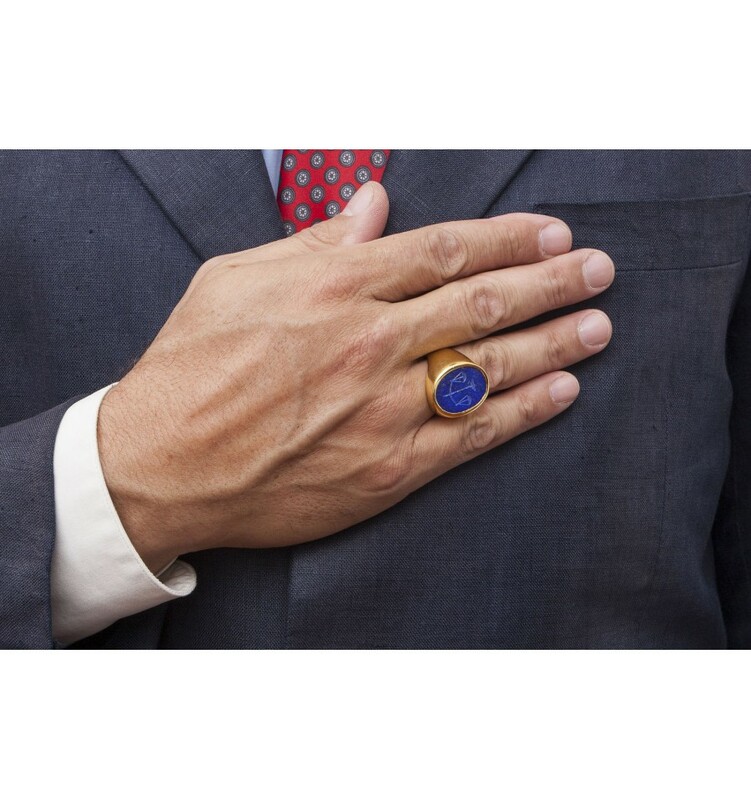 Engraved ring featuring the scales of justice engraved intaglio to lovely Lapis Lazuli and set to gold plated sterling silver. 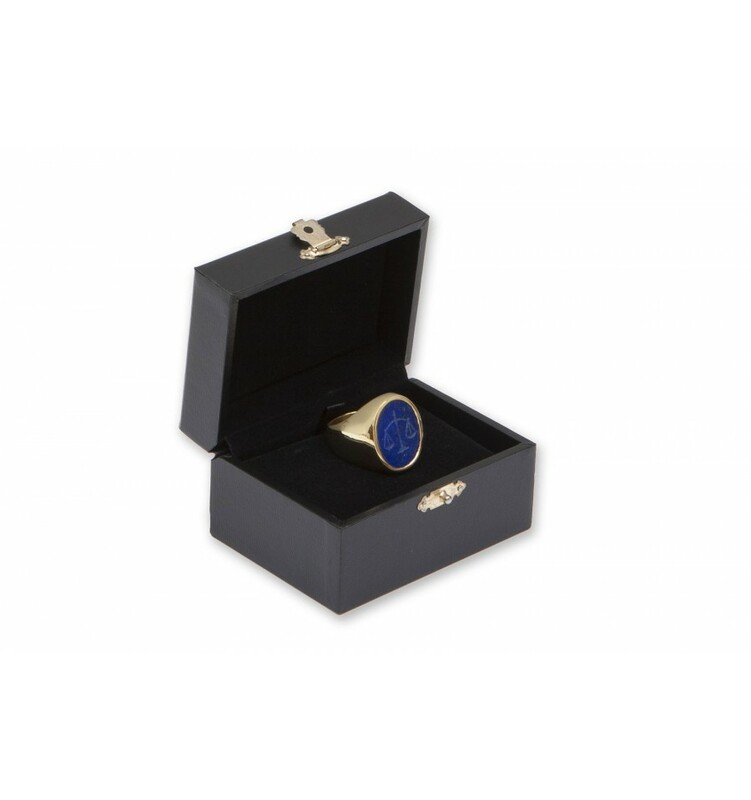 This is held in a solid gold plated sterling silver chassis with plain shoulder. 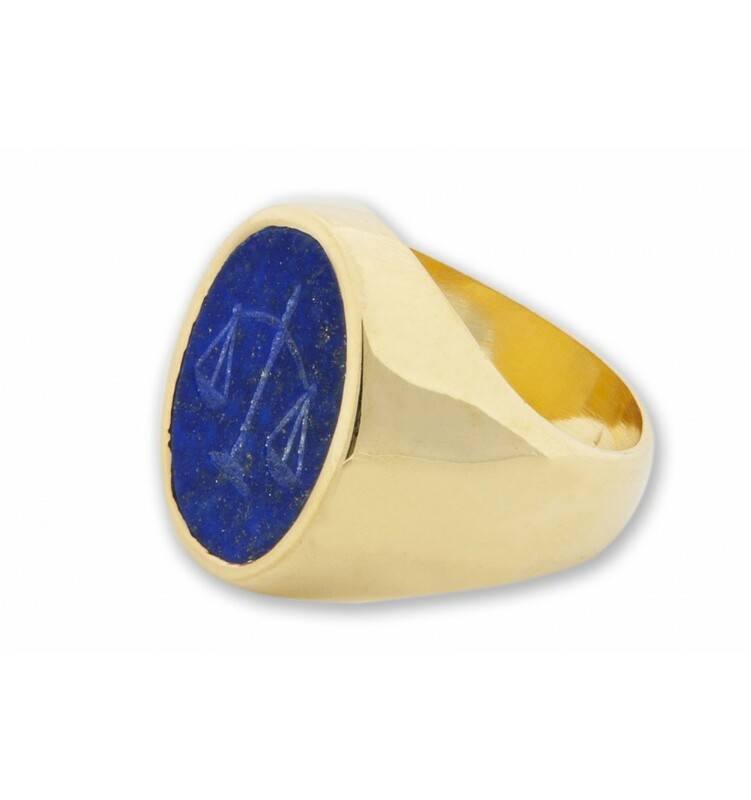 This fine hand-crafted medium sized stone engraved ring will be a stylish and treasured addition to your wardrobe.